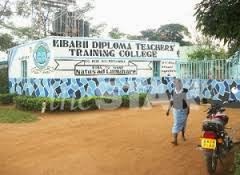 Police in Bungoma town are investigating the disappearance of 24 Kenya National Examination Council certificates of the 2012 candidates at the Kibabii Diploma Teachers Training College. According to a source which asked for anonymity, the certificates disappeared from the safe in the principal’s office and efforts to trace them have been futile. The college senior principal Jessica Simiyu is now heaping blame on her secretary whom she says may have a clue on how the certificates got lost because she has the spare key of the safe. “I called the police here to help us unearth the puzzle on how some of the certificates got lost mysteriously and yet they are kept in a fire proof safe which is always under lock in my office, they are not here to intimidate anybody,” said Simiyu. The senior principal said that she had informed Kenya National Examination Council over the matter and added that they were paying attention to the problem. However, the source said that a number of students whose certificates got lost have not been told the truth about the whereabouts of their certificates and the school management has been playing games with them. KNEC replaces lost certificates. Affected students now cannot produce tertiary certificates to help them secure employment despite having used their resources to train as teachers. The 216 candidates sat for the KNEC exams in 2012 at KDTTC and up to date 24 of them have not received their certificates. A former student tried to commit suicide by drinking dry gin at a popular joint in Bungoma town and was only saved by barmaids who helped him to come out of danger. He had failed to secure his certificate. The student said his guardian was on his neck demanding for the certificate and was suspecting that he had embezzled school fees and that is the main reason he had not collected his KNEC certificate. “If I return home without a KNEC certificate, I will be dead meat because my uncle does not want to understand any of my excuses. I take the KNEC certificate home with me or a go to unknown place for ever,” said the student. Another student from Kisumu who sat for KNEC exams in 2012 and has not received his certificate said that his efforts to the get the essential document have been fruitless because the management has been giving out unfulfilled promises yet they continue wasting money on transport to the institution.